MPAA: PG-13 for drug content and sequences of violence. 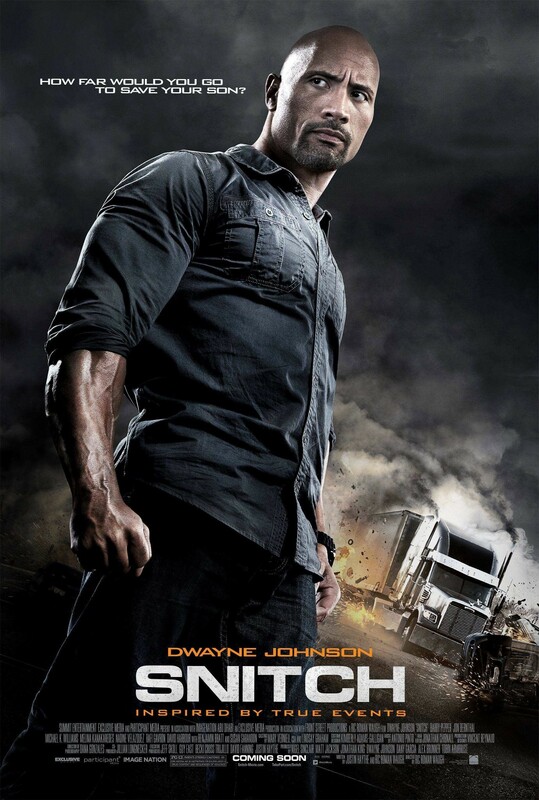 Starring: Dwayne Johnson, Susan Sarandon, Benjamin Bratt, Barry Pepper, Jon Bernthal, Michael Kenneth Williams, Nadine Velazquez, Melina Kanakaredes, Lela Loren, Harold Perrineau and Rafi Gavron. SYNOPSIS: Inspired by true events, the fast-paced action thriller “Snitch” stars Dwayne Johnson as a father whose teenage son is wrongly accused of a drug distribution crime and is looking at a mandatory minimum prison sentence of 10 years. Desperate and determined to rescue his son at all costs, he makes a deal with the U.S. Attorney to work as an undercover informant and infiltrate a drug cartel on a dangerous mission- risking everything, including his family and his own life. The ensemble cast includes Susan Sarandon, Benjamin Bratt and Barry Pepper.